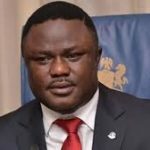 The Cross River State Government on Thursday said it had revitalised 54 Primary Healthcare Centres within three years, to boost health service delivery in the state. The state Commissioner for Health in the state, Dr Inyang Asibong disclosed this at the maiden Cross River Council on Health Conference, held in Calabar. Asibong said that the revitalisation was carried out with a view to making healthcare service accessible to residents in the state, especially those in the rural areas. She said that the objective of the conference was to bring to life the issues of health as it affects stakeholders in the sector. Newsmen report that the conference was organised on the theme “Cross River State Strategic Health Development Plan II, Road Map to Universal Health Coverage’’. According to Asibong, it is also aimed at achieving universal health coverage in the state and ensuring a healthy life for all. “We have recorded tremendous achievement in the health sector under Gov. Ben Ayade. For now, we have three functional Primary Healthcare Centres in every local government; this amounts to 54 revitalised centres across the state. “Moreso, renovation work is ongoing, and very soon, we will put other centres to work. We are also bringing in equipment for maternal health, child health and non-communicable diseases across the centres,” she said. According to him, primary healthcare centres across the state have been revitalised with equipment to boost healthcare delivery in the state. 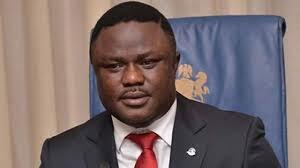 “I want to inform us that Cross River is maintaining the first position as the first state in Nigeria to present before the National Council on Health the Cross River Strategic Health Plan II’’, he said.